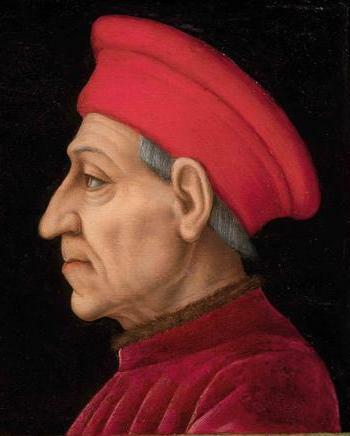 Cardinal Ipploito de’ Medici (1511-1535) is the illegitimate son of Giuliano de’ Medici. 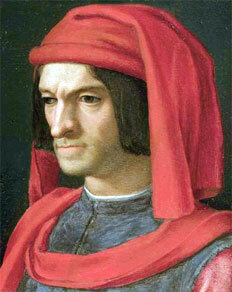 He was considered by the Medici popes Leo X and Clement VII as the possible future head of the family. 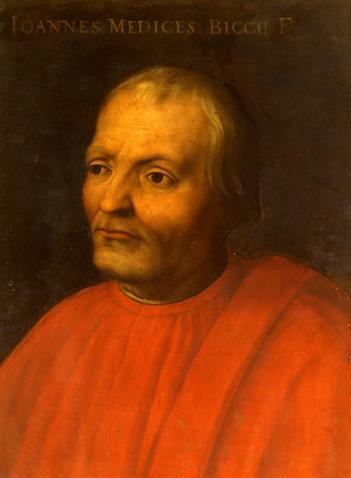 In the event he was passed over in favor of Alessandro de’ Medici and was made a cardinal in January 1529, in which capacity he travelled to Hungary in 1532 as papal legate to Emperor Charles V, who was then at war with the Turks. 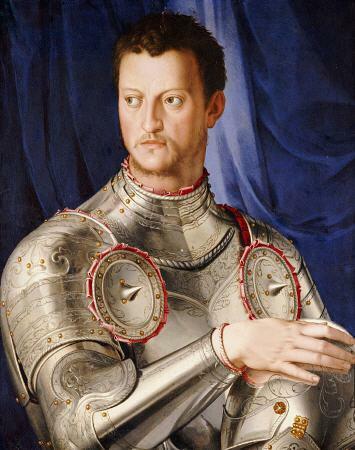 Believing himself unfairly treated in the succession, he worked to displace Alessandro as Duke of Florence, dying in southern Italy on the way to present his case to the Emperor on campaign in North Africa. 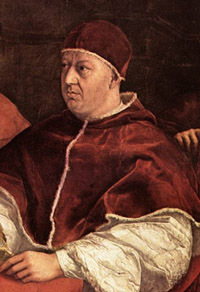 Unsuited by nature to the cardinalate (his friendship with the Venetian courtesan Angela Zaffetta and passion for Giulia Gonzaga were public knowledge), he nevertheless entered readily into the lavish style of living of his peers, to the extent that Clement VII once tried to sack members of his household, which Ippolito resisted on the grounds that while he probably did not need them, they needed him. 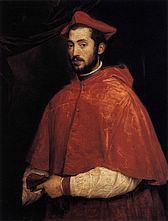 He was a generous patron of Michelangelo (to whom he gave a horse) and of the poet and art enthusiast Pietro Aretino, with whose help he summoned Titian from Venice to Bologna in 1530 to work for Charles V. When Titian returned to Bologna for the Emperor’s second visit in 1533, he painted the portrait of Ippolito de’ Medici in Hungarian Costume. 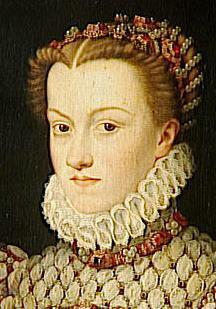 Other artists enjoying Ippolito’s patronage included Benvenuto Cellini, the gem-engraver Giovanni Bernardi, Sebastiano del Piombo (who painted the portrait of Giulia Gonzaga) and the sculptors Alfonso Lombardi and Giovanni Angelo Montorsoli, who on the recommendation of Michelangelo was sent by Ippolito to France in response to a request from Francis I. Giorgio Vasari acknowledged Ippolito as his first patron and repaid him with the many references in theVite to his generous patronage of the arts.